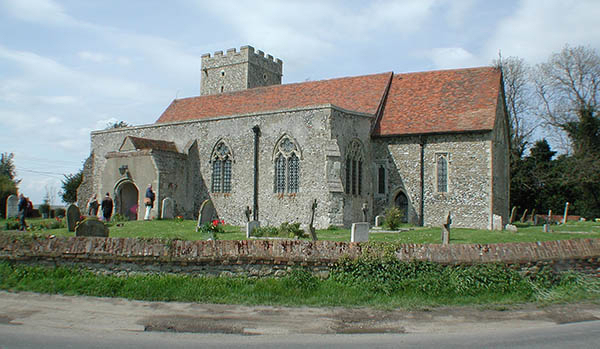 All Saints Church is located in the village of Graveney, some two miles north-east of Faversham. The church is run as a combined benefice with Boughton and Hernehill, with services in all three churches every Sunday, and joint activities also taking place at the parish centre of St Barnabas, in the centre of Boughton village, including the monthly "Messy Church". For more information see "boughton-hernhill-graveney-churches.com"
The connection between the village of Graveney and the Christian church can be traced back to a time before the Domesday Survey. In 811 Canulph, King of Mercia, who had also made a successful take-over bid for the Kingdom of Kent, sold the manor of Graveney to Wilfred, Archbishop of Canterbury, for the use of Christ Church, Canterbury. The Domesday Survey records the manor as being 'Terre militum Archieni' (land held of the Archbishop by knights service) and tenanted by the de Gravene family. The construction of the church building in terms of style and material sets it in the mid 12th century. Visitors to the church can see evidence of the Christian congregation over the centuries and trace the history of the village and people. Many have asked about the box pews. They were installed in 1823, but they took up a great deal of space and were found to be uncomfortable, so by 1925 there were moves to replace them with chairs. The cost of chairs was prohibitive at £1 4s 6d each, an expense way beyond the church council of the time. So the box pews remained. The churchyard at All Saints is well kept; there are sweeping views across the marshes towards Faversham, north to Seasalter and east towards Boughton Hill. It is a stopping off point on many footpaths and benefits from having use of the adjacent Alfreda Boggia Memorial car park. There is a service at All Saints each Sunday at 10.30am. All are welcome. Worship is varied - details are posted on village notice boards and flyers. 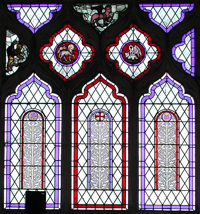 The enthusiastic Friends of All Saints Church hold open days, exhibitions and concerts. The tiny Church of St Bartholomew, Goodnestone is in the care of the Churches Conservation Trust; 4/5 services are held on Sundays during the summer months.